Dual Shot (Doppelschuss) inkl. 0% MwSt. Regeltext: Dual Shot deals 1 damage to each of up to two target creatures. 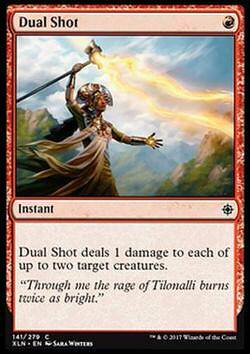 Flavourtext: ""Through me the rage of Tilonalli burns twice as bright.""